2Roost are pleased to offer for sale this 4 bedroom town house in Sheffield. The accommodation features hallway, dining kitchen, lounge, wc, landing, bathroom, bedroom 1, bedroom 2, bedroom 3, bedroom 4 and outside and gardens. WELL PRESENTED FOUR bedroom TOWN HOUSE. The property has been refurbished throughout by the current owner and benefits from white uPVC double glazing and gas central heating. 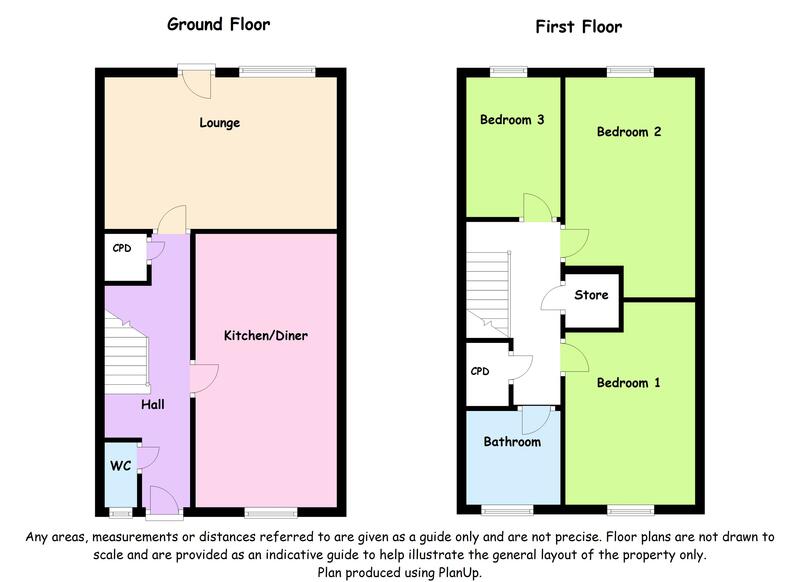 The property benefits from entrance hall, lounge, dining kitchen, downstairs WC, FOUR bedrooms and family bathroom. Gardens front and rear with driveway. Swallownest, together with the adjoining community of Aston provides a wide range of local shopping and educational facilities and the Crystal Peaks Shopping and Leisure Complex and the Rother Valley Country Park and Water Sports Centre are within two and a half miles drive. The property is also well placed for commuting to Sheffield and Rotherham and Junction 31 of the M1 Motorway is within two miles. White half glazed uPVC door opens into the hallway having central heating radiator and w.c Carpeted stairs rise to the first floor landing. Having a range of wall, drawer and base cabinets, complementing work surfaces incorporating a stainless steel sink and drainer. There is space and point for free-standing cooker, plumbing for automatic washing machine and space for upright fridge freezer. Front facing uPVC double glazed window, central heating radiator, tiling to the splashbacks and laminate covering to the floor. Rear facing double glazed window, rear facing double glazed door, laminate to the floor. Carpeted stairs rise to the first floor landing having loft access and two substantial inbuilt storage cupboards. White suite comprising panelled bath with inbuilt shower over, pedestal wash hand basin and low flush WC. Ceramic tiling to the walls and floor. Ladder style radiator and opaque uPVC double glazed window. Having a UPVC double glazed window with a radiator beneath, newly fitted carpet to the floor. Having UPVC double glazed window with a radiator beneath, newly fitted carpet to the floor. To the rear of the property is an enclosed garden with a brick-built out-house, patio seating area, hard-stand and fencing to all sides.